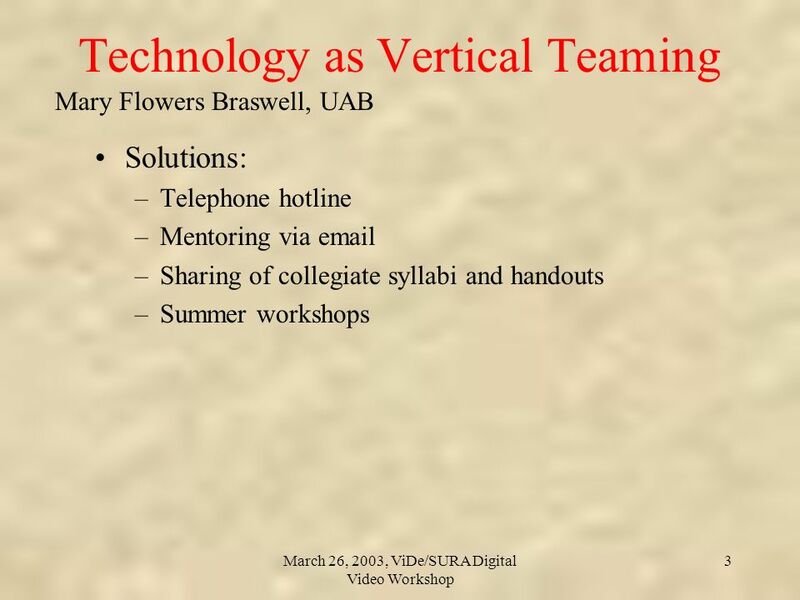 Mary Flowers Braswell, UAB March 26, 2003, ViDe/SURA Digital Video Workshop 1 Technology as Vertical Teaming March 26, 2003 ViDe/SURA Digital Video Workshop. 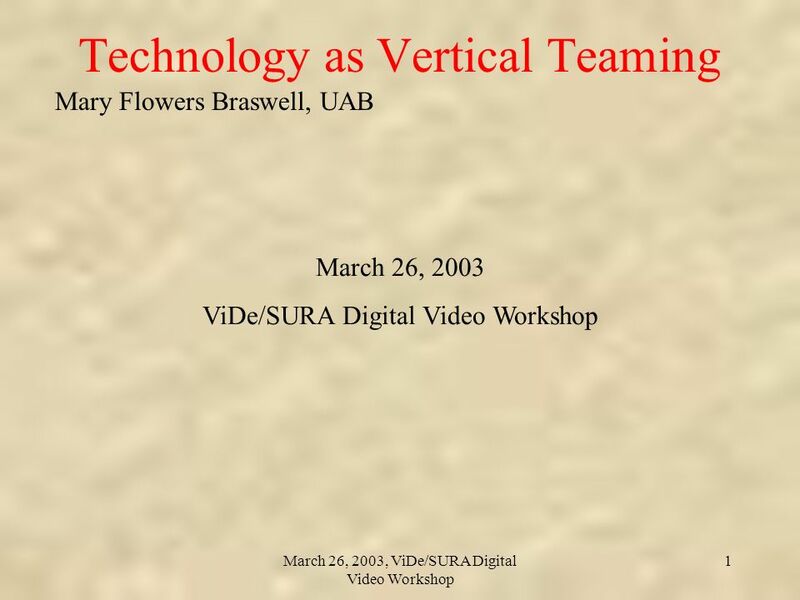 Download ppt "Mary Flowers Braswell, UAB March 26, 2003, ViDe/SURA Digital Video Workshop 1 Technology as Vertical Teaming March 26, 2003 ViDe/SURA Digital Video Workshop." 1 Using ICT in Geography Workshop Themes Learning Online Citizenship, Europe and identity Networking, you and your schools Virtual Globes and geo-information. 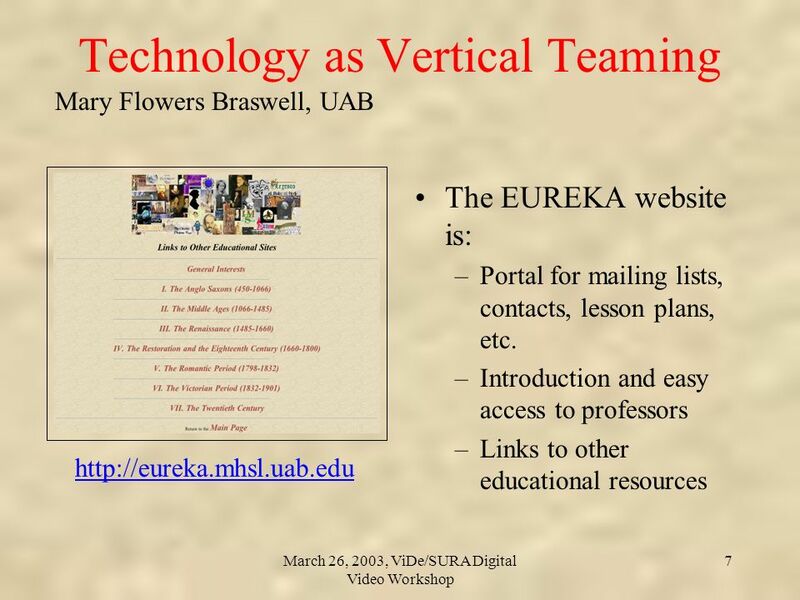 Evolving the LINKS Evolving the Links Wisconsin Public Television University of Wisconsin-Extension Tina Hauser March 23, 2004. 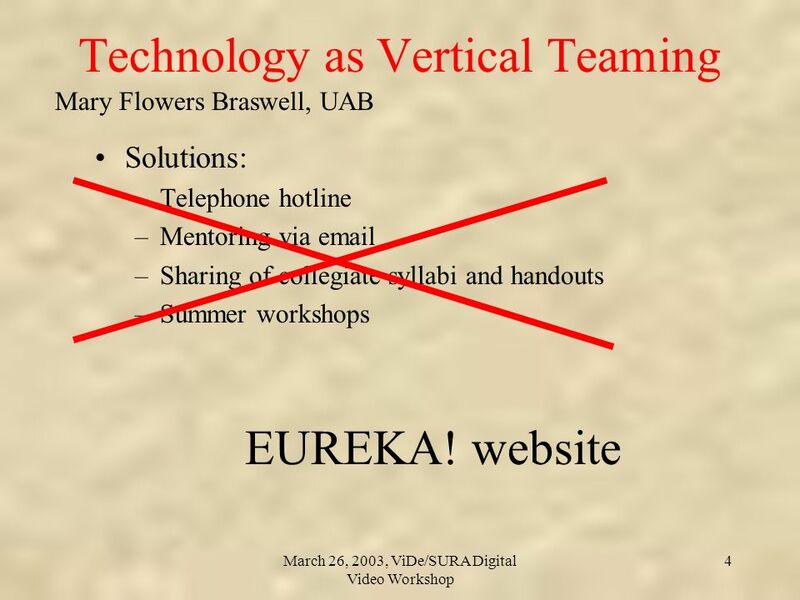 Caltech Proprietary Videoconferencing Security in VRVS 3.0 and Future Videoconferencing Security in VRVS 3.0 and Future Kun Wei California Institute of. 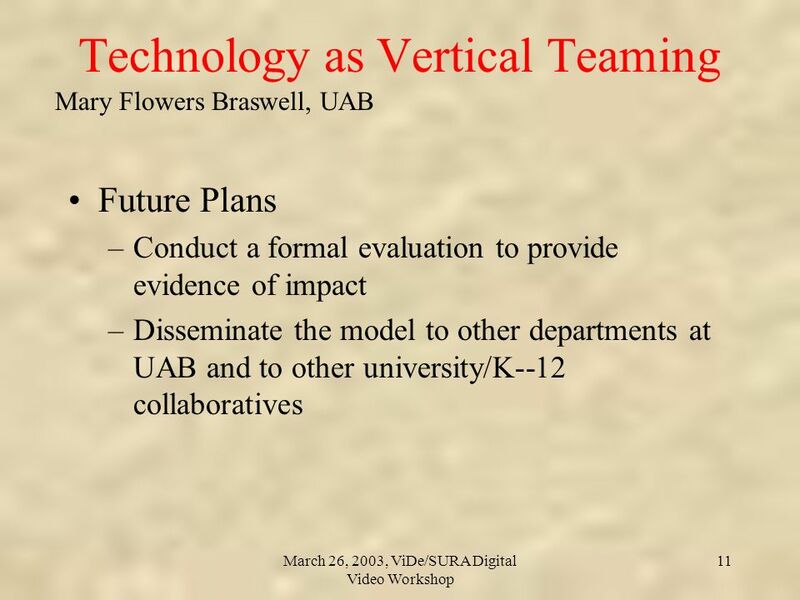 Establishing Effective Communication Blake Anderson Department of Physics, University of Arkansas, Fayetteville, AR Kathy Prophet Hellstern Middle. 1 IST Eye-2-Eye Fitness-for-Purpose of Person-Person Communication Technologies SINTEFN Instituut voor DovenNL TandbergN Nottingham UniversityUK. What is ScienceQuest? 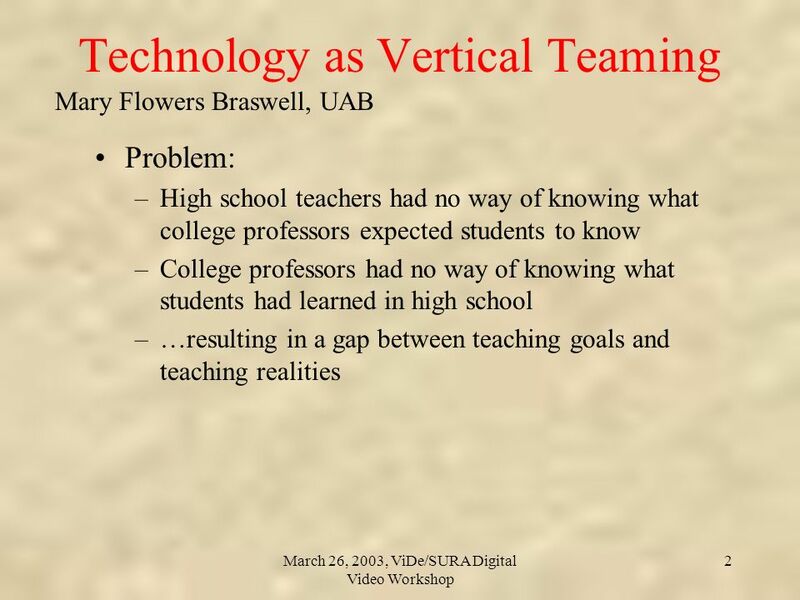 Integrating Science and Technology in Classrooms Dr. Norman Shapiro, Director Center for School Development City College of New York. Academic Services Division Creating and updating programme and module information Academic Services Division. 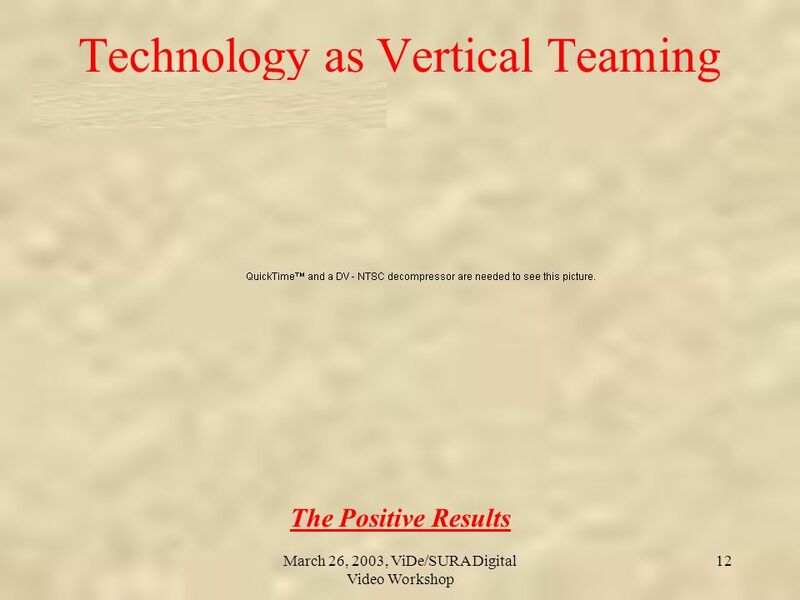 Presentation Title Presenters Name Date Introduction Glow October 2006. 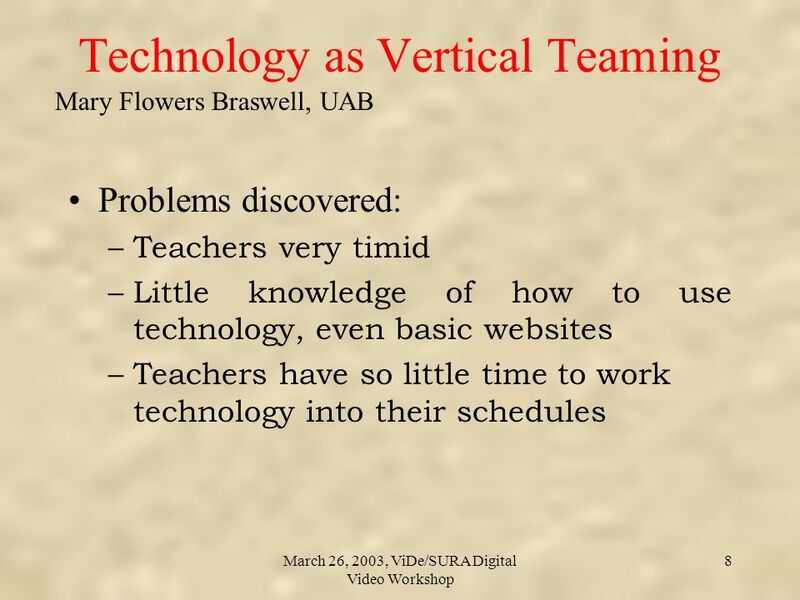 Team Teaching with Digital Technology A Business English Wiki in Practice Professional Development Day for Business English Teachers DHBW Villingen-Schwenningen. 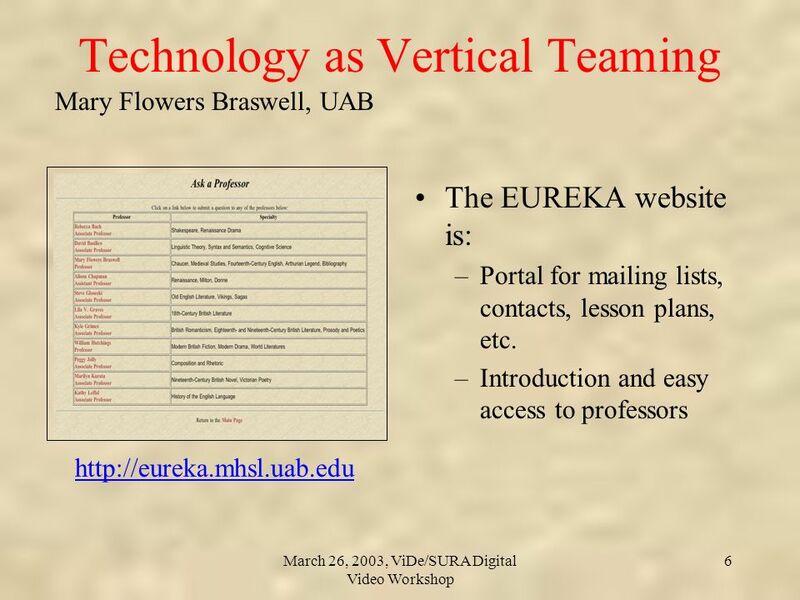 Higher Order Thinking Instructional Strategies Teacher Videos. 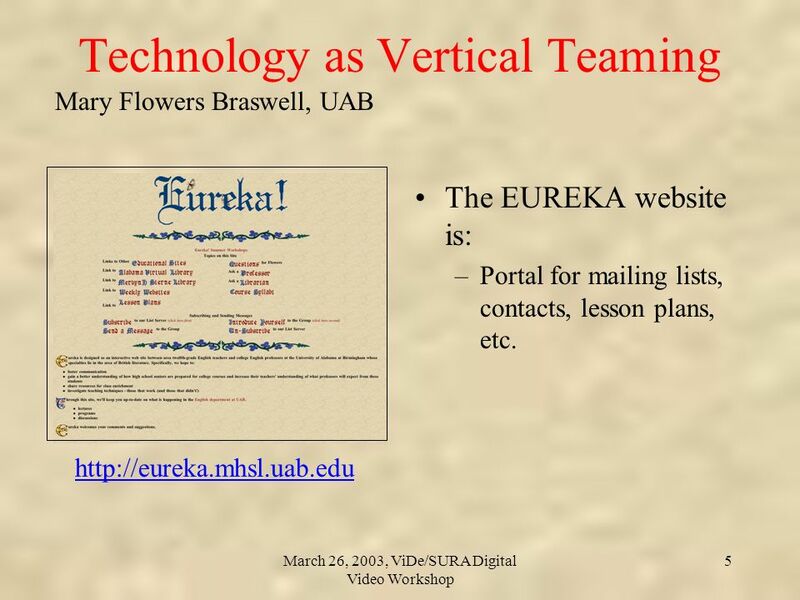 Part 2: The Co-Teaching Partnership Programming Codes: o IEP. 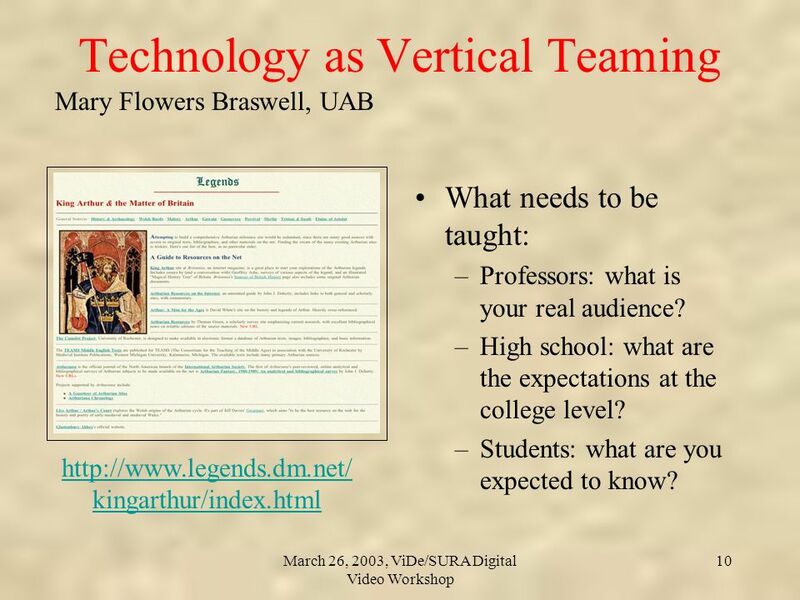 The Information Technology Revolution in the 21st Century Collin College EDUC 1301 Chapter 7.